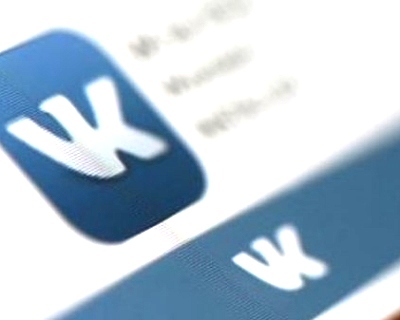 Deputies of the State Duma of the Federal Assembly of the Russian Federation condemn the decision of the President of Ukraine to ban popular social networks “VKontakte” (vk.com) and “Odnoklassniki” (ok.ru) on its territory, as well as all resources of Internet services “Yandex” and “Mail .ru ». As a result of this decision, millions of users in Ukraine were deprived of the opportunity to freely communicate and express their position, to support cross-border family and professional contacts. Thus, in the eyes of the world community, the formation of an authoritarian state based on ideas of national superiority, xenophobia, interethnic and interreligious hostility, suppressing dissent, freedom of speech and severely restricting unhindered access to information continues to develop. By such steps, the Ukrainian authorities grossly violate the fundamental human rights and freedoms enshrined in the 1948 Universal Declaration of Human Rights, the 1966 International Covenant on Civil and Political Rights, the 1966 International Covenant on Economic, Social and Cultural Rights, the Convention for the Protection of Human Rights and Fundamental Freedoms freedoms of 1950. According to these international legal acts, everyone has the right to freedom of expression. This right includes the freedom to seek, receive and impart all kinds of information and ideas, regardless of frontiers. The Constitution of Ukraine, Article 34 of which proclaims that everyone has the right to freely collect, store, use and disseminate information verbally, in writing or in any other way – of his choice, is also violated. The State Duma notes that parliamentarians have a great responsibility for the future of Europe without censorship and totalitarianism, double standards are unacceptable here. Deputies of the State Duma appeal to the Parliamentary Assembly of the Organization for Security and Cooperation in Europe with an appeal to condemn the illegal actions of the Ukrainian authorities and demand the cancellation of their decisions that violate fundamental human rights and freedoms in Ukraine.